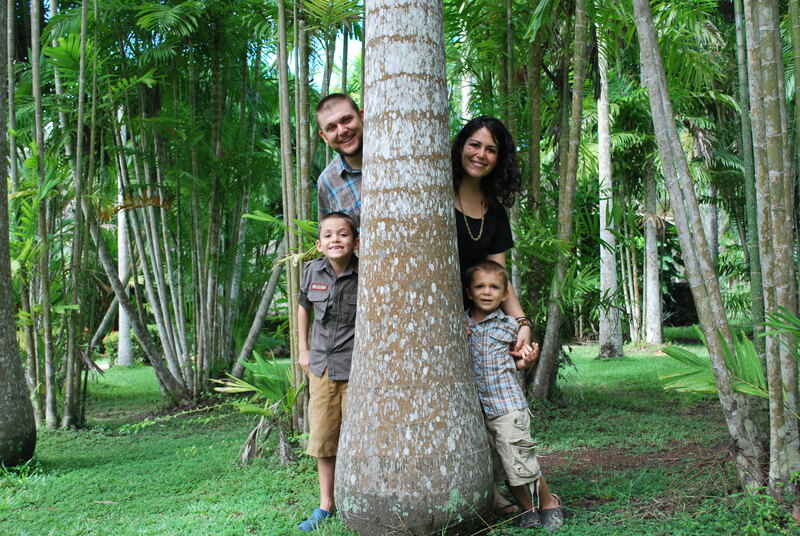 In early 2008 the Paul, Carina, Mason and Ezra Greer moved to Papua New Guinea (PNG). Paul grew up as a missioanary’s kid in PNG with his family. He returned to the California in 1992 and attended Life Bible College. During his years at LBC, traveled to Kenya, South Africa, Mexico, and PNG helping spread the good news of Jesus Christ. Carina was born and raised in Canada by her parents Grady and Christina Willliams, who are Foursquare pastors. At age 11 she started feeling God’s calling to be a missionary. When Carina was 14 she put a Foursquare Missions International poster with pictures of all the missionaries and there families up on her door and prayed for these families for over 5 years before she realized that one of families was Paul’s family in PNG. They met at Life Bible College, fell in love, all the while dreaming of being missionaries together, wherever the Lord needed them. God brought their lives together and they are now serving as missionaries in Papua New Guinea. Before becoming missionaries, Paul and Carina had been ministering as youth pastors in Anaheim, CA and to the surrounding churches on a district level for over 7 years. They have two amazing sons, Mason and Ezra, who keep them laughing. Paul now serves the PNG Foursquare Church by being part of the National Youth Ministry Council (helping develop the national youth ministry) and as Principle of Living Light Bible College in Port Moresby. He also helps with leadership training and the church planting movement in Central Province. Carina serves by helping host missions teams, ministering to widow moms and abused and abandoned children. They love being missionaries for the glory of God. We love you guys and miss you already. You all are in our prayers. Hi Carina! Wow, you and your family are stunning! I was in contact with your Mom today and she gave me a quick update about you and your move. This must be really exciting for you…seeing your dreams and prayers come to fruition. I will keep you in my prayers. HAPPY 5th Birthday Today Mason! We love you lots and hope your day is blessed! Hey Paul, I’m not sure you remember me but I was one of your highschoolers at C-Stone and I was in CARE. I just want to wish you the best and let you know that you are what I like to call a “Buttkicker” (that is a good thing). You made a difference in my life. Thanks. I totally remember you Ryan. I pray that you are doing good. I heard that lots of people at your work lost their jobs… I hope you are all good. Thanks for checking in on us. I wanted you to know we are thinking about you. Carina, Happy Birthday. Wish we could be there to celebrate with you, but we will be celebrating for you. email when you can. Thank you for your service for the King! I will be sharing your story tomorrow all the way in Lafayette, IN. Missions Sunday. Hi Greers, What a great ministry! Excited to have you as part of our Southwest District Missionary Force. Email me when you get a chance. It was great meeting you guys at our church in El Segundo. May the Lord bless your stay in the states and prepare you for the next season. Stay in touch.